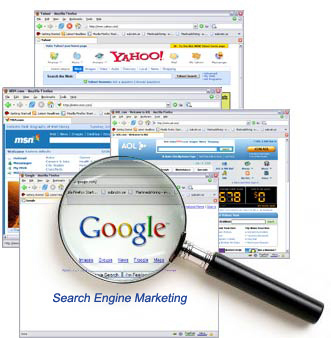 Search Engine Marketing is referred to the marketing of a business/product using paid advertisements on the internet. In simpler words, any company can connect with its prospective customer in the digital space through SEM. Advertising your business directly to customers who are interested in buying your product or services is an awesome opportunity. It’s a win-win situation as the customer is getting what he’s looking for while the product is being advertised to the right customer. It is very important to be visible online to customers who are looking for your business. This makes search engine marketing one of the most popular and effective mediums to grow the business. Paid search marketing is the process of gaining traffic through paid advertisements on search engines. It is sometimes referred to as CPC (cost-per-click) or PPC (pay-per-click) marketing, because most search ads are sold on a CPC / PPC. We at Ladybird understand your business in and out to get the best out of the SEM project. Our team of experts offer wide range of strategic search engine marketing solutions customized for your business requirement. We work very closely with our clients and make sure to meet & deliver the professional commitments on time. *Ad budget is extra and will be charged to the client’s credit card.